This hotel is beautifully situated in Stockholm, overlooking Humelegarden Park. The hotel is conveniently located just 300 metres away from Stureplan Square, The hotel is surrounded by high-class shopping opportunities and trendy entertainment venues. Guests will find themselves just a short distance away from the Royal Castle, Stockholm Stadium and the old town, Gamla Stan. The hotel enjoys convenient access to links to the public transport network. This modern hotel enjoys an attractive design. The guest rooms are eloquently presented, having been designed with comfort and convenience in mind. Guests are assured of a unique stay, rich in luxury and charm, at this hotel. The hotel offers a range of excellent facilities and services, meeting the needs of every type of traveller. 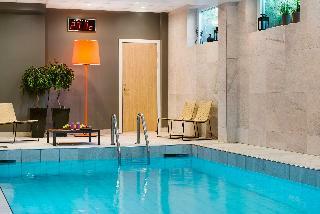 Scandic Continental has a fantastic location right in the center of Stockholm. Close to shopping areas, culture, entertainment and restaurants. 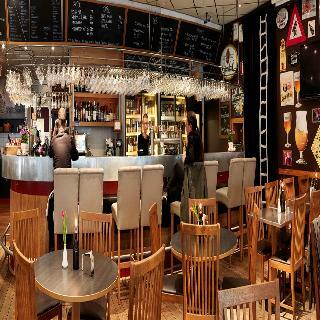 Popular attractions such as the Old Town, the Opera, the City Hall and Stockholm Castle are all nearby.Enjoy a nice dinner at our restaurant or relax with your favorite drink in the rooftop bar. Run a workout in the gym or relax in the sauna. At Scandic Continental we offer meeting rooms for up to 900 participants. Our hotel rooms are modern and packed with smart solutions such as a dimmer and rain shower in the private bathroom, as well as a drawer under the bed for your luggage. Enjoy a good night's sleep in the comfortable bed, big enough for two. Hang your clothes on the practical knobs and hangers. There is neither a desk nor armchair, but our lovely large lounge is specially adapted for the comfort of our guests travelling on business, for work and meetings.We serve breakfast and à la carte dinner as well as coffee and drinks in our combined lounge and restaurant. Our shop is always open if you're in the mood for a treat. Stockholm City street parking is available just outside for your convenience.Just outside our hotel you’ll find everything from cosy local bistros to the culinary delights of gourmet restaurants. Just pop by reception and we'll be happy to help you find or book a table. Our close proximity to Stockholm central station gives you the chance to reach many exciting destinations on foot, by bus or metro. Stroll to the Old Town or enjoy shopping on Kungsgatan, Drottninggatan and Hotorget Square. Norra Latin conference centre is just around the corner. You are close to Stureplan with its restaurants, bars and nightclubs, as well as exclusive shopping. 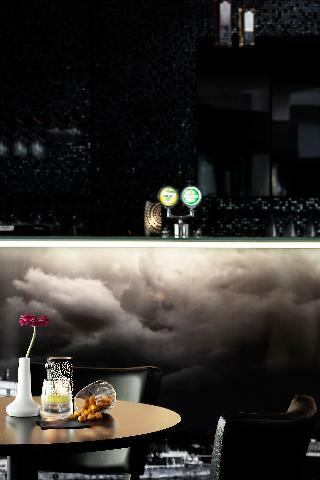 This modern hotel is housed in a large building and conference venue in central Stockholm. It is situated on Wallingatan, a side street of the famous Drottninggatan, in a quiet area, yet close to all the sights and sounds of Stockholm, to ensure that guests get the most out of their visit to Stockholm. Stockholm Castle is 20 minutes away on foot, while Skansen open-air museum is 40 minute walk from the hotel, 10 minutes by public transport. 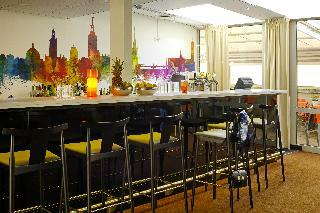 This city hotel offers rooms of various sizes, including suites , superior and standard rooms. Mini studios with kitchenette are also available, ideal for longer stays. All the rooms are decorated in a modern style and feature all the necessary conveniences, ensuring a pleasant stay for guests. 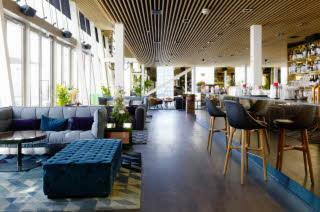 This top modern hotel features a trendy atmosphere in the crossing of Kungsgatan-Vasagatan, in Stockholm. Housed in a classic building, this elegant property is the perfect base for either exploring the city by strolling or use the public transport with rail, metro and bus links. Just a few steps from the hotel, travellers will find the historic theatre, Oscarsteatern, and a wide choice of restaurants and entertainment options. They all have been tastefully decorated in soothing tones to create a charming atmosphere in which to completely unwind. Sports lovers will appreciate the fully equipped fitness room with relaxation area and corporate travellers can take advantage of the meeting facilities, ideal to host any kind of event for up to 120 participants. The Cosy rooms are great to stay on it although they are windowless and gives a wonderful accommodate experience; they have wooden floor, safety box and bathroom with shower. The winning combination of prime location and exceptional service, make this property the ideal place to stay when visiting Stockholm. The exterior expresses the historical past, the interior is timeless with a soul that is utterly contemporary. Among concert halls, movie theaters and food courts, the impressive entrance welcomes all of those who would like to take a step into an era influenced by optimism and elegance. 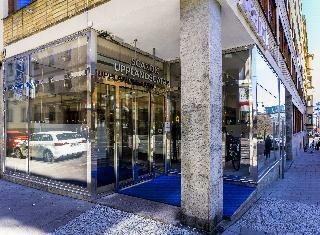 This 4 star hotel is located in the city centre of Stockholm and was established in 1987. It is a short drive away from the Gröna Lunds Amusement Park and the nearest station is T-Centralen. All 127 rooms are equipped with hairdryer, trouser press and ironing set. Lying amidst one of Stockholm's most popular shopping districts, this property is just a 15 minutes' drive from the city centre. Heron City adventure centre and the world's largest Ikea centre are also located nearby. Skarholmen underground station is just a short distance away. This modern hotel showcases a Scandinavian style. The guest rooms are inviting and stylish, featuring modern conveniences. Guests can enjoy an invigorating workout in the gym, followed by a refreshing swim in the pool. 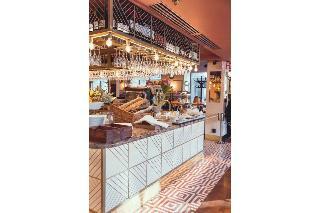 The property also comprises a cafe, a bar and a restaurant, for guests' dining needs. Those travelling for work purposes will appreciate the hotel's business centre and conference room. 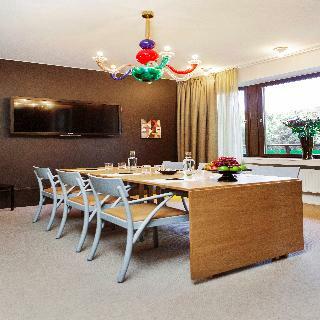 This elegant Stockholm hotel is conveniently located near the Kungens Kurva shopping district in close proximity to the city centre and to the largest IKEA store in the world. Guests will be just minutes away from the Toy Museum(Leksaksmuseet), the Museum of Modern Art (Moderna Museet) and the Stockholm Palace. Once they are done with exploring the sights of the city, and probably bought a brand new sofa, they can head to the Heron City entertainment centre, the home of the largest cinema in Scandinavia. 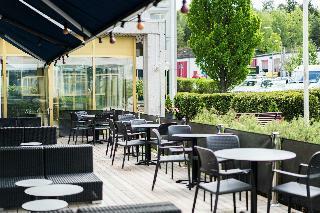 The venue is also at one of the finest business locations in southern Stockholm, close to a number of corporate offices. In order to facilitate the work of its guests it can offer a fully-equipped business centre and 11 conference rooms. The onsite restaurant is perfect for a relaxed meal or for a more casual business meeting and offers some exceptional homemade baked goods. This charming hotel is located in the suburbs of Stockholm. It is conveniently situated close to the E4 highway. Central Stockholm is just a short drive away and Arlanda International Airport can be reached in 30 minutes. It is not far from the Hagaparken, and a number of shopping and entertainment venues are set nearby. Guests are offered a selection of delicious Scandinavian dishes in the on-site restaurant and can also enjoy coffee and cocktails in the bar. 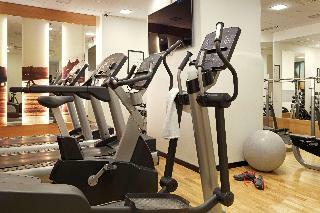 They are welcomed to make use of the Internet access and more active ones can enjoy a workout in the gym. Each of the 183 modern guest rooms has a flat-screen TV. Free parking is also provided for those arriving by car. Stockholm is Sweden's largest and most important city. It is the capital of the country, and so the location of the seat of government, the parliament and the head of state's residence. Many of the city's most popular sites are to be found in the old town, which is 750 year old. Here you can see the Royal Palace, with an exhibition of the crown jewels; the Three Crowns Museum; the 13th-century cathedral; the Nobel Museum; the House of the Nobility; the German Church; and the Royal Coin Cabinet. Another interesting place to visit is the Riddarholmen. In the heart of Stockholm, this is where you can see the statue of the city's founder: Birger Jarls. If you enjoy open-air activities, you should visit Djurgården, which has some excellent green areas and lovely natural scenery. The city has some attractive wooded spaces, and Galärparken is a good choice, as one of the area's most beautiful parks. Stockholm is a world-class city, and a very beautiful one. Come and visit it!